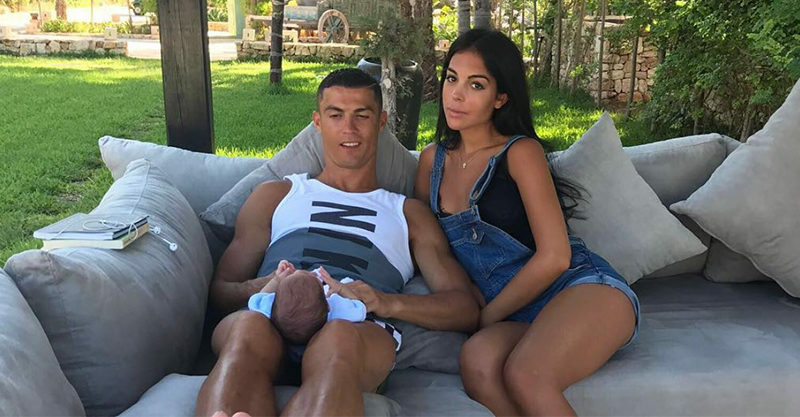 Georgina Rodriguez, partner of soccer superstar Cristiano Ronaldo, talked babies, balance and bumps in an interview with Spanish magazine iHola. The 23-year-old model is pregnant with her first baby, with 31-year-old Cristiano already a father of 3. He recently welcomed twins Mateo and Eva, apparently thanks to surrogacy. He’s also dad to a 7-year-old boy, Cristiano Ronaldo Jr – also apparently through a surrogate mum. Georgina shared a little bit more about what makes her tick and it seems that the simple things in life are absolutely the best, in her book. Georgina is thought to be around 5 months into her pregnancy, and when the magazine quizzed her on her approach to health and feeling good, she said her approach was pretty simple. “I have a female cat who is now 13 years old and who is my great companion,” Georgina told the mag. There’s been so much speculation about this couple’s relationship, Georgina’s pregnancy and Cristiano’s life in general, that perhaps random cat facts seem better than none? What we do actually, unequivocally know is that the pair will welcome another baby into the world later this year, and that they both seem super happy about it all! We wish Georgina the very best kind of pregnancy and look forward to spotting this baby when her parents are ready for that.